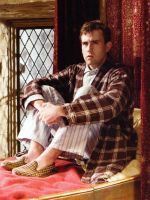 Harry Potter FilmsMovie Stills, Promotional Shoots, screencaps & more from all 8 of the Potter films can be found here. Other FilmsMatthew in other films. 2010. The Sweet ShopMovie Stills, Promotional Shoots, screencaps & more from The Sweet Shop can be found here. 2011. Agatha Christie's 'Verdict' [Theatre]Photos from Matthew's appearance in Verdict. 2012. WastelandMovie Stills, Promotional Shoots, screencaps & more from Wasteland can be found here. 2012. Our Boys [Theatre]Photos from Matthew's appearance in Our Boys. 2015. Captain Extraordinary [Animated TV Series]Matt is lending his voice to Captain Extraordinary in this animated series.